Viewing “fan” stills have given insight into the town’s retro transformation for the sci-fic thriller, but that said, the premise of the production has been relatively top secret. 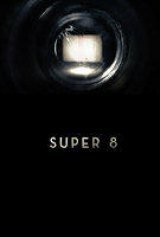 The rumor mill has stated "Super 8" is a tribute to Spielberg’s 70’s films (which include “ET”) , but considerable mention has been made of “Cloverfield,” too. However, this new preview depicts a premise where a couple of kids and a Super 8mm camera happen to be making a home grown film at the train station. Yes, a train wreck follows, but this looks like a super long running Summer 2011 hit. Obviously, the contents of the peek at the flick are (c) Paramount Pictures and used herein as promotion for the movie that will put the Mountain State on the moviemaking map.